$199/Year: 60+ CE Courses Best value! 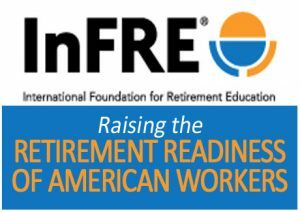 We are the professional development partner of the International Foundation for Retirement Education® (InFRE). The Retirement Resource Center provides retirement-specific training and education programs by leading experts so Certified Retirement Counselors and other retirement professionals make decisions that fortify their client’s retirement security and peace of mind. We’ve built relationships with the retirement industry’s leading speakers, authors, trainers and professional development experts over almost thirty years in the financial industry. We are pleased to bring them to your desktop in a terrific selection of retirement-specific continuing education and professional development courses in a variety of media formats. New courses are added on a monthly basis! We are a CFP Board of Standards CE Quality Partner with 60+ courses accepted for CRC®, CFP® and other CE credit. Choose from 60+ retirement-specific live webinars and on-demand courses. View our upcoming no-quiz, live and rebroadcast retirement webinar schedule here. You’ve done a tremendous job helping your clients accumulate assets for retirement. Advisors today need to take a holistic approach when managing the retirement assets, income, and risks of the middle mass and mass affluent markets. In today’s world, is taking distributions of 4% of the assets upon retirement the right answer for your clients’ retirement income? Is retirement income planning just asset management with a withdrawal? Retirement income planning has changed a LOT in the retirement world over the last 10 years due to new research and thought leaders like David Blanchett, Wade Pfau, Steve Vernon, Curtis Cloke, Michael Falk, Jamie Hopkins, Shelley Giordano, Brad Breeding, Denise Appleby, Bob Mauterstock, Lili Vasileff, and almost 40 other retirement speakers that we make available to you at your desk, on your tablet or on your phone. Our course subjects and speakers are chosen especially for retirement professionals, financial advisors, accountants, call center professionals, support staff, and public sector defined benefit, hybrid and defined contribution educators. Meet your CFP®, CRC®, CRPC, CIMA, CPWA, RMA, ASPPA, and American College Professional Recertification CE requirements while increasing your knowledge on a variety of retirement-related topics presented by leading industry experts, from overview to advanced difficulty. We provide 24/7/365 access for you to earn CE on important retirement topics that will help you serve your clients well and compete. Choose any of the individual webinars or courses below for $29 each, or save time and money by becoming a subscriber. Our continuing education subscriptions are the easiest and most cost-effective way for retirement professionals like you to become and stay up to date with the current thinking in retirement, help you stay competitive, and better serve your clients. Webinars and on-demand webinars are available separately for $29 each or receive full access to 60+ courses on-demand courses/quizzes for 365 days for only $199 or 90 days for $99. You can earn over 52 CE credits a year without the need for additional exams by taking advantage of the weekly webinars included with your subscription! A printable certificate is available certifying that you successfully earned CE credit after you take an on-demand webinar and/or audio course and pass the online quiz. 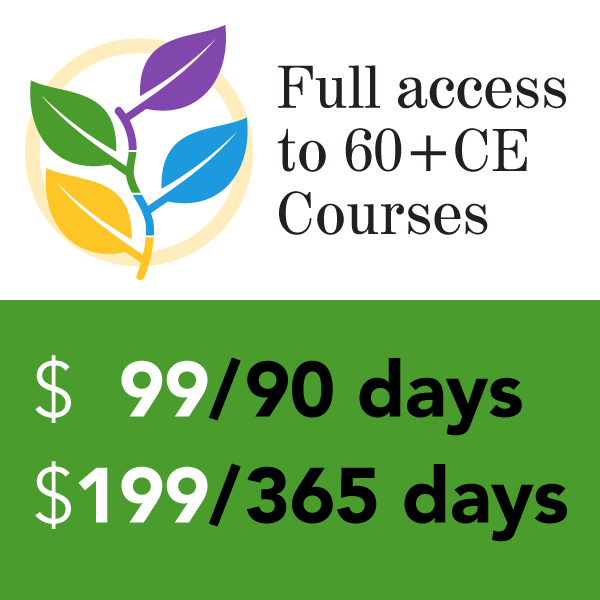 In addition to individual courses, we offer two subscription levels that each offer full access to all our CE courses. The differences between the levels are in number of no-quiz, live or rebroadcast courses available during the time you have access. Choose individual courses you prefer from more than sixty no-quiz live/rebroadcast webinars or on-demand courses with quiz for CFP®, CRC®, ASPPA, American College, and other CE credit – $29 each. Save on continuing education with full access to three no-quiz live webinars and 10 rebroadcast webinars, PLUS 60+ on-demand courses during your 90-day subscription. Become a retirement expert with access to 12 monthly no-quiz live and 40 weekly rebroadcast webinars, PLUS 60+ on-demand courses during you one-year subscription. We know that you will be pleased with your purchase of any of our courses or subscription products. 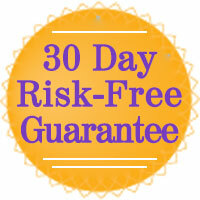 If, however, you are not completely satisfied, just notify us within 30 days of your purchase to receive a full refund. We help you be sure you’re comfortable navigating our system. We pride ourselves on our work to make our courses and subscriptions user-friendly. Just contact our customer service department by email anytime or by phone 847.686.0440×105 during regular business hours. Gained the knowledge that there are tools available to help clients with this decision making process. The greatest benefit of these webinars is the knowledge that is provided so that we can become better informed. The session was very informative and the presenter was very knowledgeable and easy to understand. The case studies were great. I enjoy the webinars because they inform us of topics we don’t know too much about. It’s an experience where you come out with acquired knowledge. Thank you! OUTSTANDING! I love being in this profession!!! The research was great. We still need better solutions, which I believe are probably not product based. A shift in mindset. More practitioners talking about redefining retirement. Choose from 60+ high-quality, informative webinars by today's leading experts. Off With Your (Rule of) Thumbs! Pensionizing Your (Client’s) Nest Eggs: What, How and Why? The Personal Cost of Caregiving: Women Need to Protect THEIR Retirement Too! Integrating Home Equity and Retirement Savings through the "Rule of 30"
Enough About the Assets Already! Still deciding? Compare subscription levels – $99/90 days or $199/Year – which is the best level for you? Meet CFP®, CRC®, ASPPA, American College and other CE requirements while increasing your knowledge on a variety of retirement-related topics presented by leading industry experts, from overview to advanced difficulty. PLAN for Retirement Readiness Retirement readiness is holistic. It’s not just financial readiness. We help you PLAN for retirement readiness. PROTECT from Retirement Risk Retirement risks can torpedo even the best-laid plans. We help you PROTECT the plan from retirement risks. PROVIDE for Retirement Income Retirement income planning is more complex than accumulation. We help you PROVIDE retirement income. Always enjoy the webinars. Very informational. Relevant and timely topics. Refreshing! I’m so glad there are people who are specialists in this area since I am not! The research was great. We still need better solutions; a shift in mindset. More practitioners talking about redefining retirement. I love that RRC doesn’t shy away from these topics! Together, we’ll figure it out.